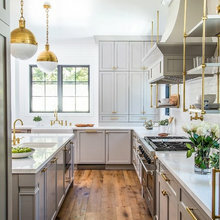 Best of Houzz winner in Design for 2018 & 2019. 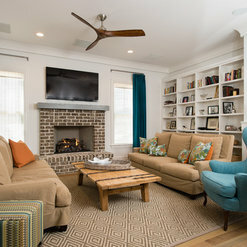 Sandra Ericksen has been creating stylish interiors in the lowcountry of South Carolina for more than a decade. 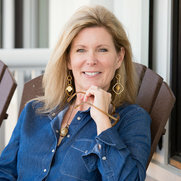 Her passion is helping clients create warm, welcoming interiors using timeless design principles. 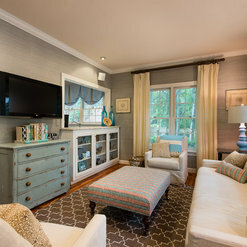 Projects have been featured in Southern Lady Magazine & The Cottage Journal. 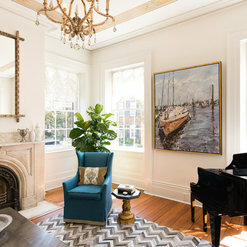 Her current Charleston interior design studio is located in Mt. Pleasant, SC. I called Sandy after 12 frustrating months of trying to furnish & decorate my new home. I'd made some poor choices on my own and used the advice of a couple of other decorators. The result was a very expensive, but unfinished mess. Sandy to the rescue! In just 3 months & working well within my dwindling budget, Sandy found the missing furniture pieces & helped me pull everything together with rugs, window treatments & pillows. Sandy has a great eye, but so most decorators. Where Sandy stood above the rest that I consulted with was in her professionalism. She was always punctual. She kept in touch. She voiced her opinion, but listened to mine. She was patient with changes. She seemed to always have my project on her mind and "found" me some great pieces. Her billing was always up to date, clear and fair. I hope I don't have to decorate another house any time soon, but if I do, Sandy will be my first phone call. 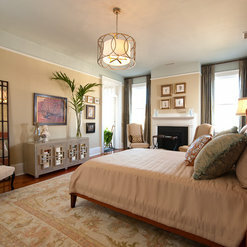 Sandra worked with us on several rooms in our Daniel Island home including redesign of master suite. We are very happy with the finished room. Sandra did a great job listening to what we wanted and came through with flying colors. She was easy to work with, friendly, receptive and we really enjoyed the process. Sandra is talented, professional and fun. Highly recommend! 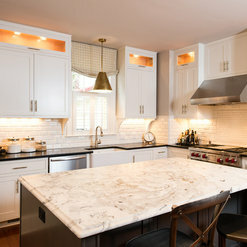 Sandra Ericksen helped us plan the renovation of our outdated kitchen. We were so pleased with her services from beginning to end. She patiently and expertly walked us through each step from choosing granite to light fixtures, meeting with the contractors, and putting on the finishing touches. We would certainly choose her again for future projects. 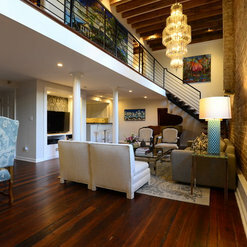 Sandy helped us renovate and decorate a downtown Charleston 1880's warehouse loft. It was extra challenging because we were trying to use some of the existing furniture. Sandy helped us sort through, make selections and paint and reupholster as needed. The end result was exactly what we were looking for which was an interesting mix of bohemian glam with a tinge of industrial. The new pieces she helped us select made a huge impact. What I loved about working with Sandy is that she made the whole process fun. Even the arduous parts of selecting fabric, wallpaper and paint seemed effortless with her seasoned eye. She is very flexible and able to work within all budgets. She is also extremely professional and communicates often and effectively. She met every timeline and always did what she said she would do. I would recommend her to anyone and would use her services again in a heartbeat. 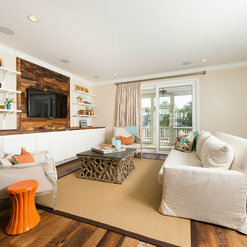 Sandra worked with us on our personal home seven years ago and most recently a beach house. 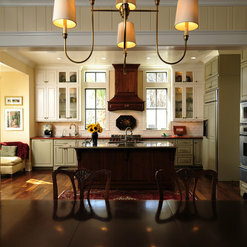 Her design knowledge helped create classic, sophisticated, yet comfortable, homes for us. 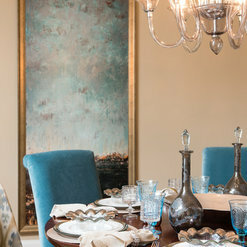 Her expertise with colors and textures was most helpful when choosing paints, fabrics and furniture. Sandra's talents in design allowed her to work easily from start to finish on each project. 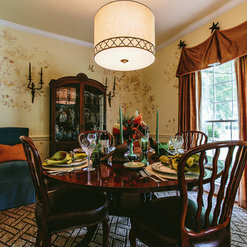 My husband and I hired Sandy for a kitchen and dining room renovation. She was a dream to work with! Her taste and design ideas are exquisite and her personality matches! We plan on doing many more projects in the future with Sandy and highly recommend her. This is my 3rd time using Sandy for designing and renovations. 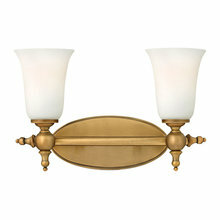 My first time using Sandy was for a carriage house apartment. 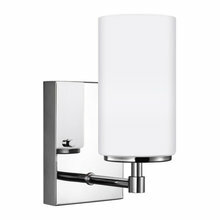 I wanted a modern sleek look and Sandy steered me in the right direction for paint colors and spacial design. She did such a great job my carriage house was photographed for "Cottage Journal" magazine. She is a pleasure to work. Sandy was a pleasure to work with on our master bath remodel. She is very talented and the end result was better than I imagined. She listened and worked hard to stay within budget, giving us different pricing options along the way and making recommendations. She was very professional in working with us and the subcontractors, making sure that everything was done to our satisfaction. I also think that she would be able to work well with all tastes and budgets. The project took slightly longer than anticipated (as I think is often the case), but she warned us that might happen. So there were no surprises along the way, and the people she hired to do the work were trustworthy, professional and very easy to work around. It was a pretty large endeavor, moving walls and plumbing. The end result was a brand new, lovely bathroom, a large pantry, and a laundry room upstairs. We're very happy with the results. Sandy is a joy to work with! She understands the style and type of rooms we hope to create and works with both our current furnishings (+ new ones) and within our budget to produce AMAZING results. We have used her services many times over the years -- and she has adapted and updated the palette and plan each time. Her ideas are fresh, yet classic, and very family friendly. I would not consider working with anyone else -- she is simply the best! We worked with Sandra Eriksen last year for decorating our new home. We were basically a blank slate with a few ideas, and Sandra came in and made this place look so amazing! She worked with our budget and took some of the pieces we already had, added some new and then pulled it all together. Not only did she have suggestions and ideas, but she placed and hung our pictures (in record time, I might add), and personally decorated our built-in bookshelves. We honestly couldn't be happier with how beautiful and put together she has made our home look and feel, and would recommend her to anyone! Commented: Backsplash tileHi Artistic Tile is the maker of the mosaic. We used Statuary &amp; Rialto Marble in the mosaic. The subway is all Statuary. 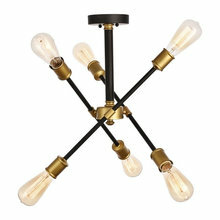 Commented: What is the over table lighting fixture? beautiful room!Thanks! We found it online, I believe at Lightology. Commented: Size of roomThis room is approximately 12'x14'. Commented: I don' t have a question, but a comment.Thanks for the kind words!